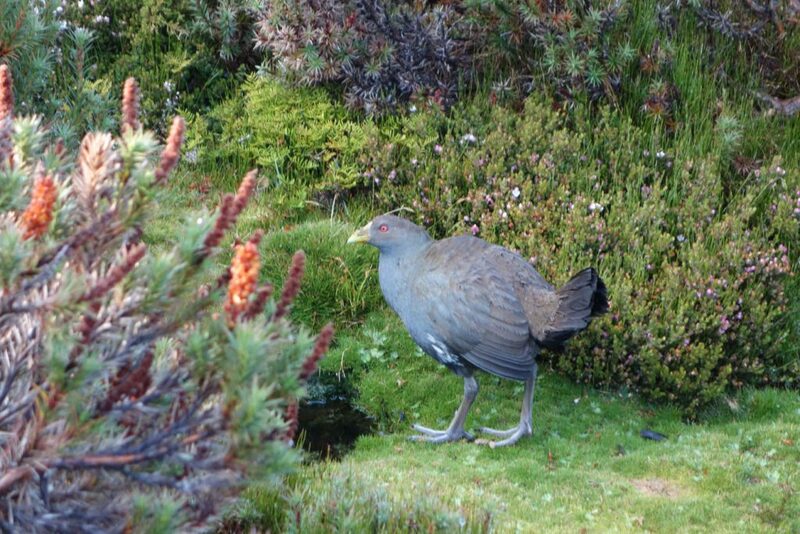 Ronny Creek in Cradle Valley is the usual starting location for the overland track. 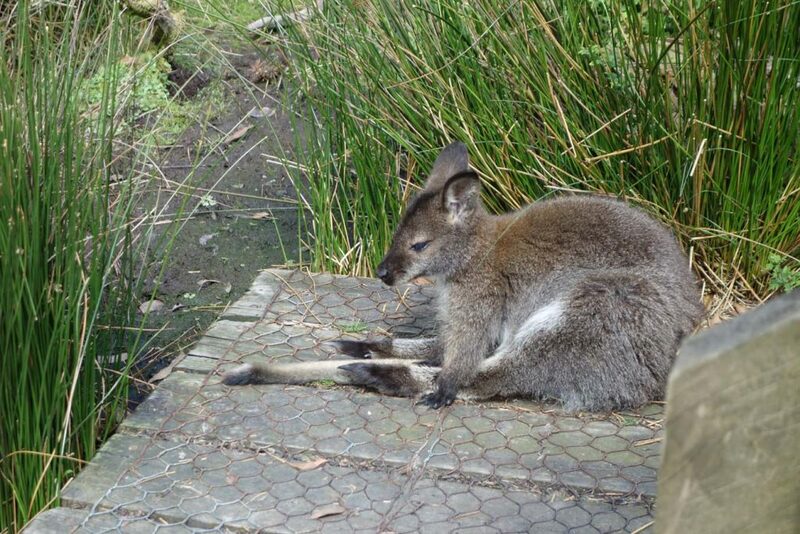 However if you arrive early, have the time and the fitness level, I suggest starting with the Cradle Valley Boardwalk at the Cradle Mountain Interpretation Centre. This adds 5 km to trip but is well worth the effort. 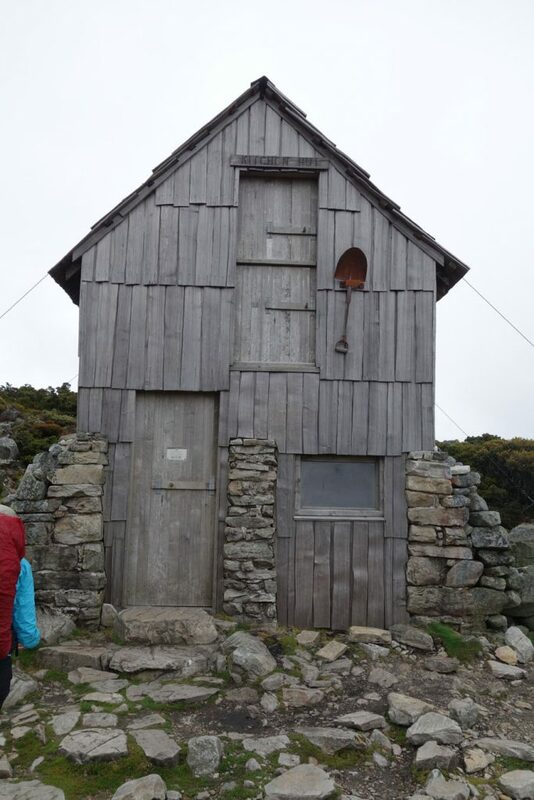 Narcissus Hut is the usual finishing point of most walkers. 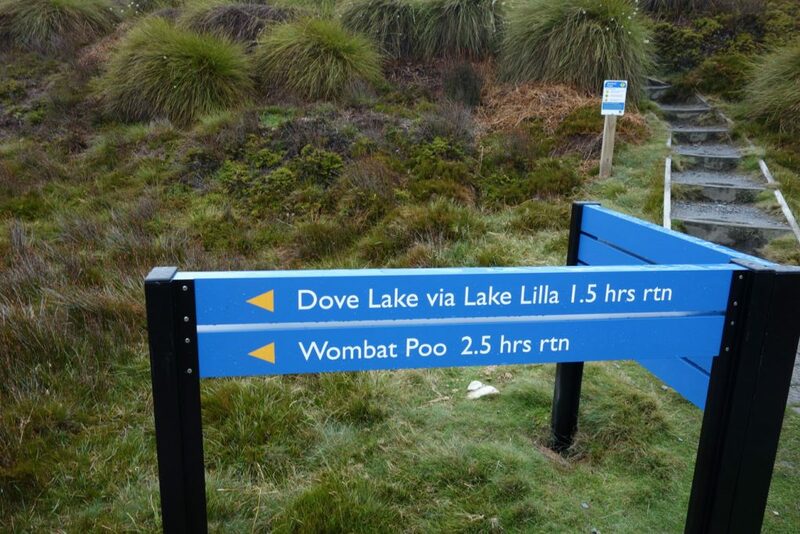 However, if you have the time and the fitness, I suggest you look at doing the walk around Lake St Claire via Echo Point Hut. 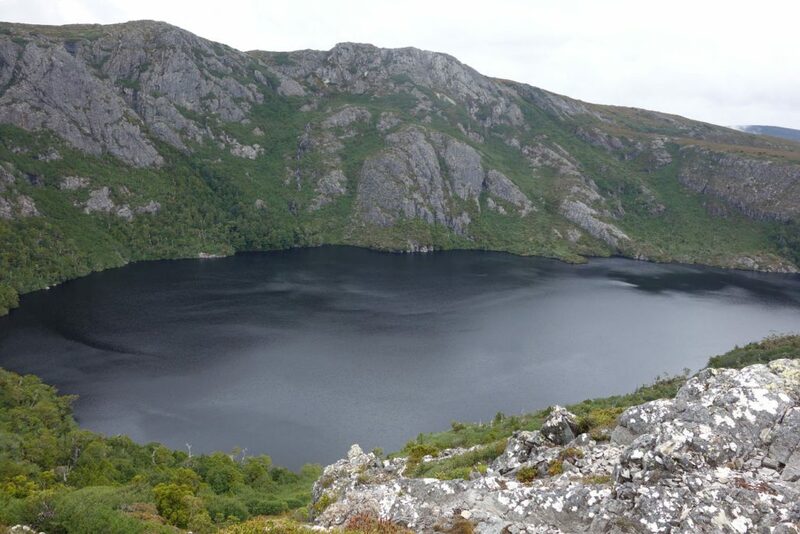 This additional section will add 17.5 km to the trip but is an undulating walk without any steep sections and allows you to hike along Lake St Claire for some great views that are different to what you have seen during previous sections. January-March. While you can walk this trail the whole year if you have the experience, most hikers prefer drier conditions with minimal chance of snow so February is the pick. However, be aware that you can get snow at anytime of the year. The days are also longer during summer so you also have more available walking time. If you do plan on using the tent platforms then freestanding tents are your best option. 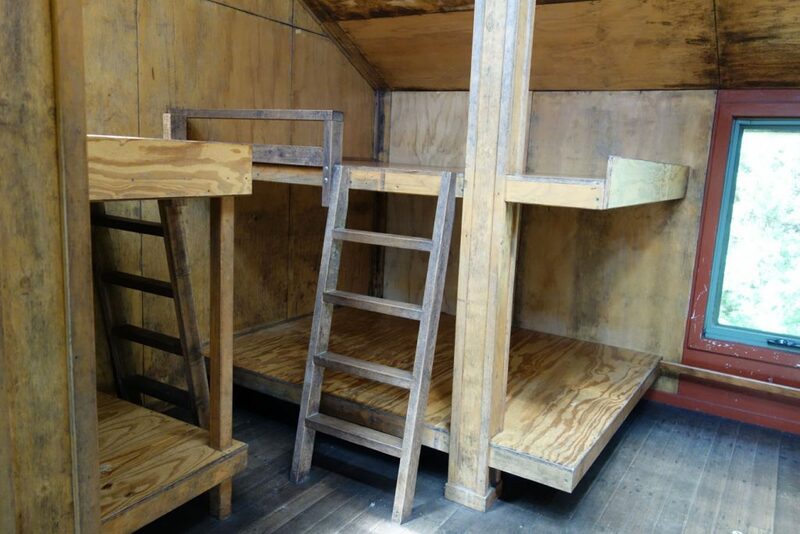 Non freestanding tents are also fine but bring extra guy lines for setting up if you plan on using the platforms. 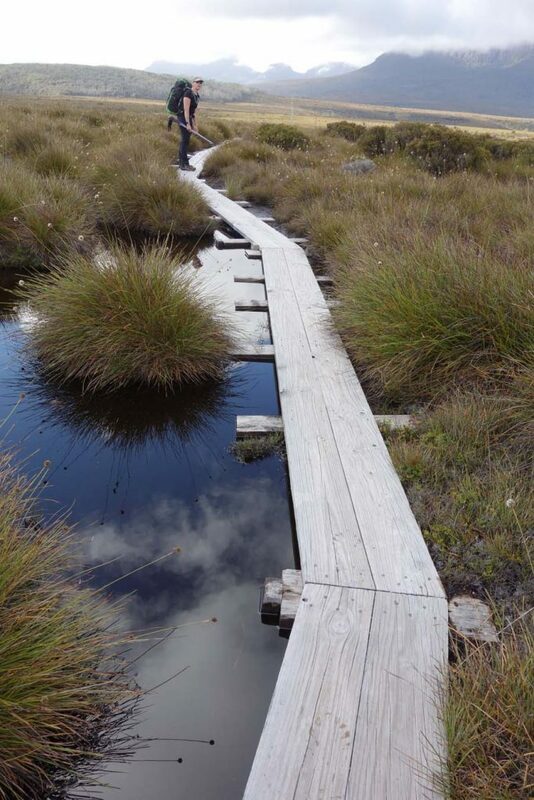 Tasmania has a reputation for being Australia’s hiking mecca and without a doubt the Overland Track is Australia’s best known walking trail. 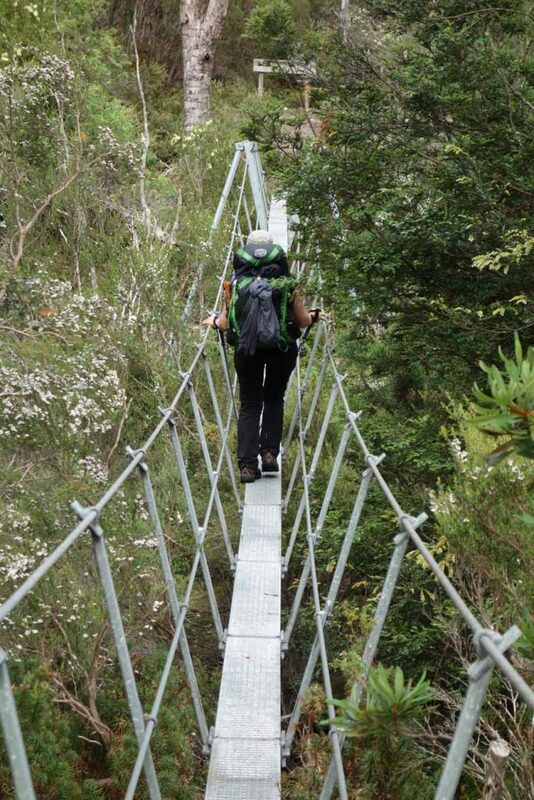 It is on just about every hikers’ bucket list and for many non hikers its the walking trail they most aspire to do with the possible exception of the Kokoda Track in Papua New Guinea. In mid last year we finally decided that it was time to do this track so set about planning what was for me the shortest lead time for a trip that I had ever done; I am currently planning multiple trips up to five years ahead. 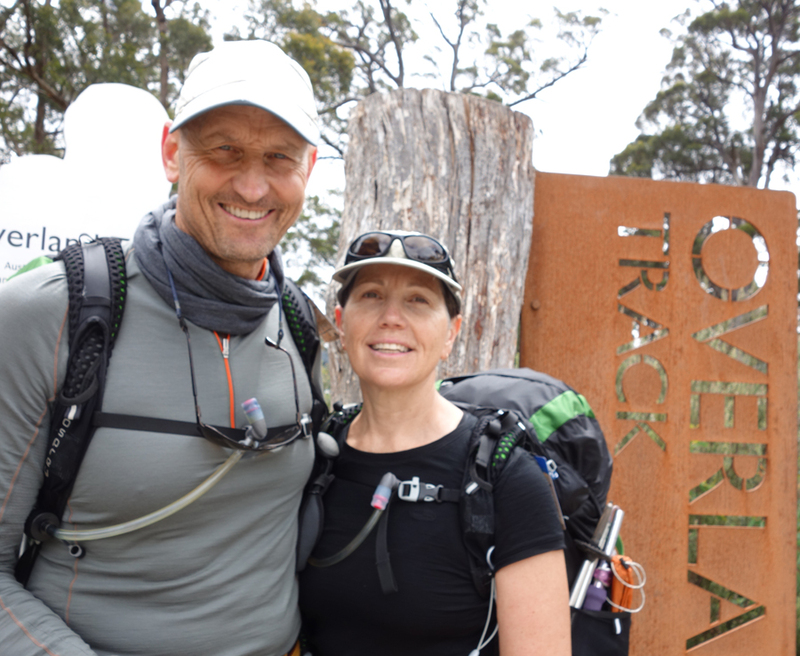 The Overland Track is not a particularly long trail, at its shortest it is 65 km long. If you have limited time or just want to be able to say you’ve done the Track then do the bare bones option. Potentially if you are a fit fast walker you could easily do this trip in a little as three days. You will still have a great time but you will miss out on some spectacular scenery and side treks. One of the struggles with this track is right at the beginning at the planing stage, there are so many options. If you’re travelling from interstate or overseas where to do fly into? Where do you fly out of? What side trips should you do? Do you really need all the gear that the website says? 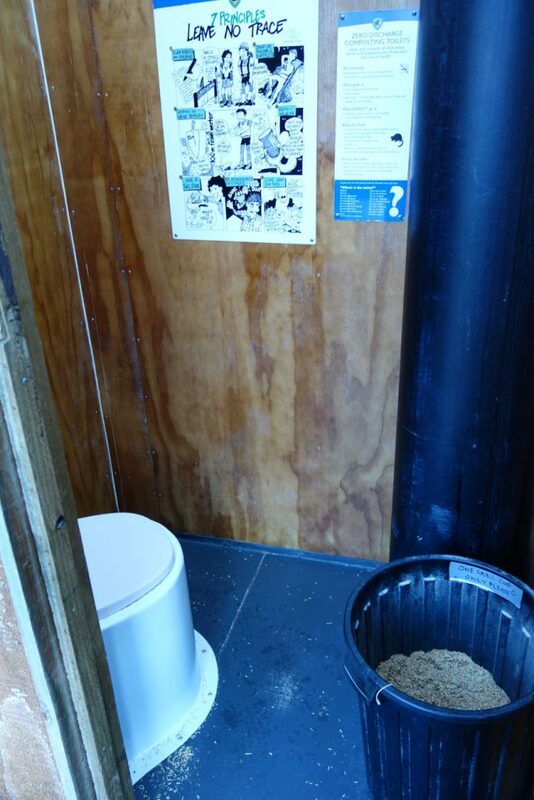 There are so many choices it is hard to know where to begin. For me Tasmania was the only Australian state I had never been to so I didn’t just want to fly in and fly out, I wanted to have a short look around Launceston and Hobart as well. This meant that with our leave arrangements we had seven days of walking available to us. Step two was to book our Track permits through the online booking system. This system is relatively easy to use but a bit clunky requiring a number of page changes to get everything done. 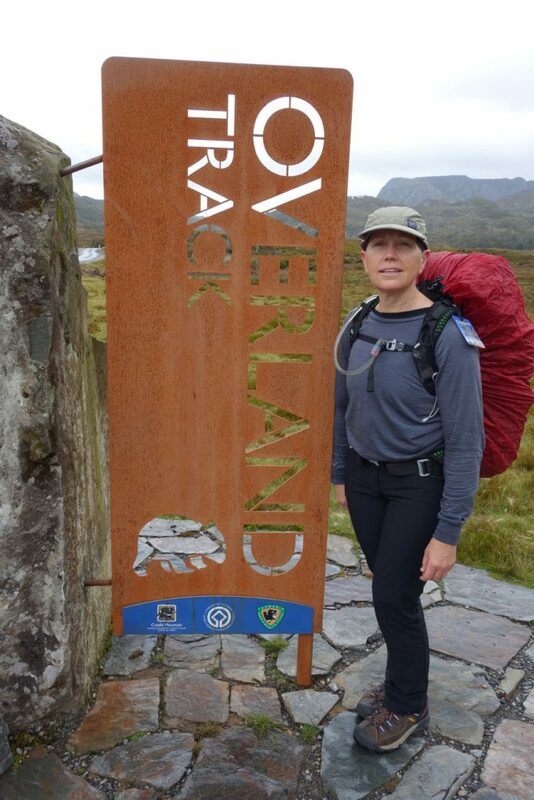 The Overland Track like many of the world’s top tracks was becoming overcrowded so a booking system was implemented. 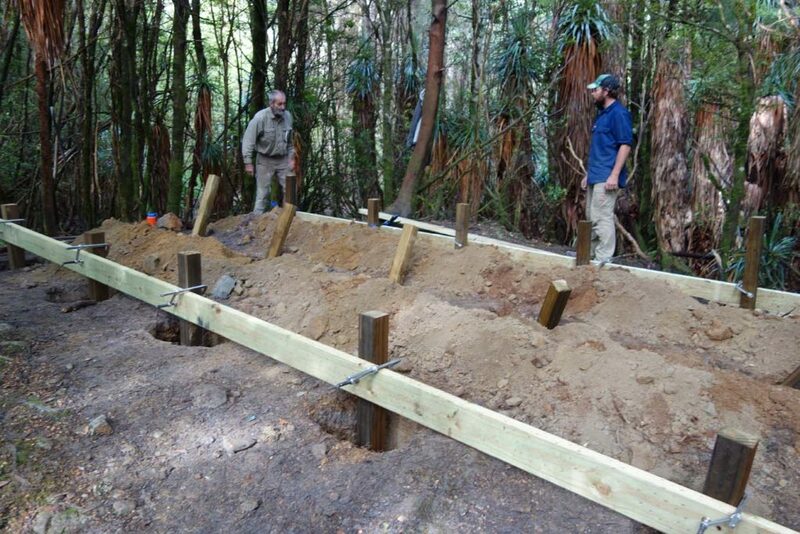 This system allows a maximum of 60 hikers including 34 independent hikers, to commence their track each day. 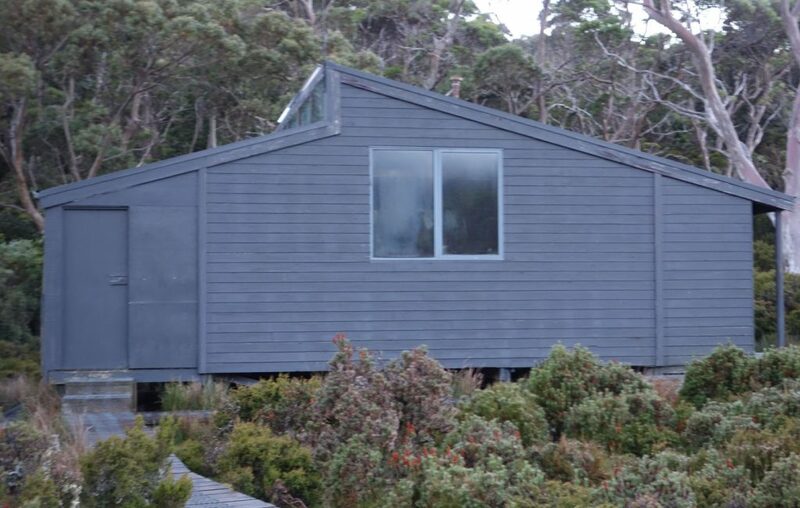 Bookings only apply from 1 October to 31 May and during this season you must start the trip at Cradle Mountain. You must also purchase a park entry permit. At the time of this article the minimum fee for adults was $230 AUD for the Track pass and Park entry permit. These two permits are picked up at the visitor information centre either the day before or on the day of your trip. Pick up the day before if you want an early start. 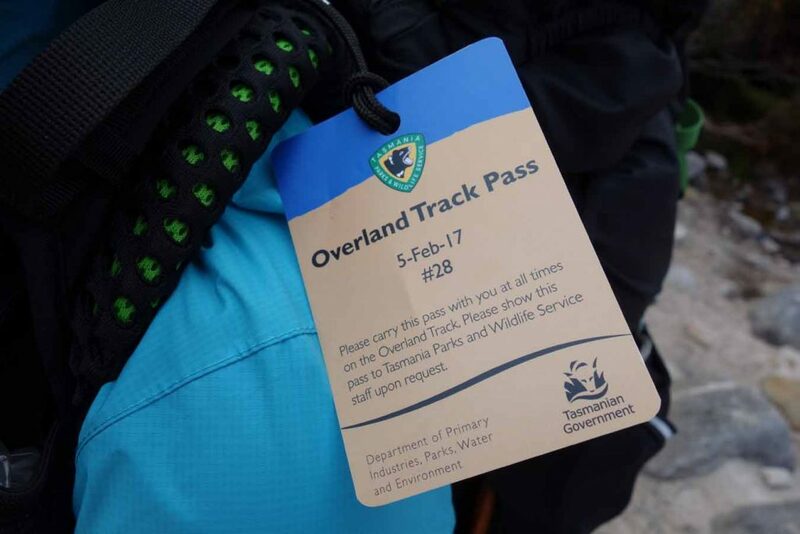 For the rest of the year (winter) you can travel either direction and while there is no Track fee you still need to purchase the Parks Pass at a minimum of $30 AUD. Next was gear. The paperwork for this trail is a bit daunting and in fact you need to sign a form that indicates you have the appropriate gear for this trip. 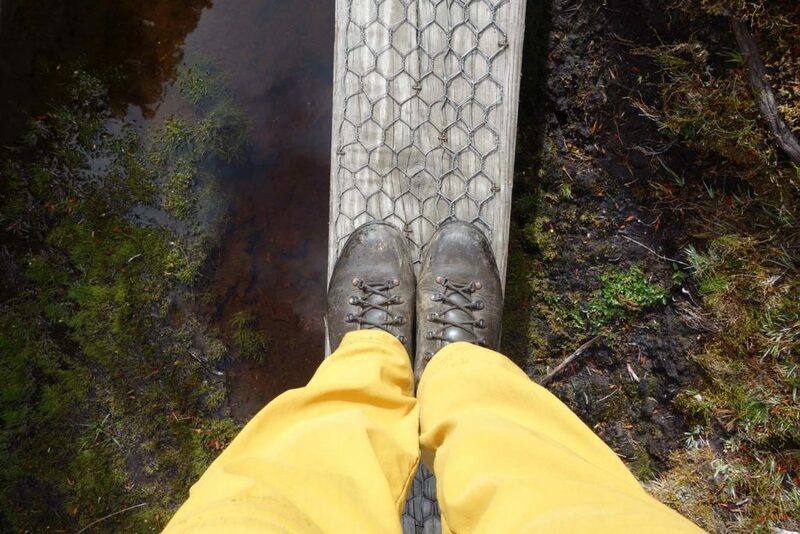 The issue with the Overland Track is the wide variety of weather conditions. 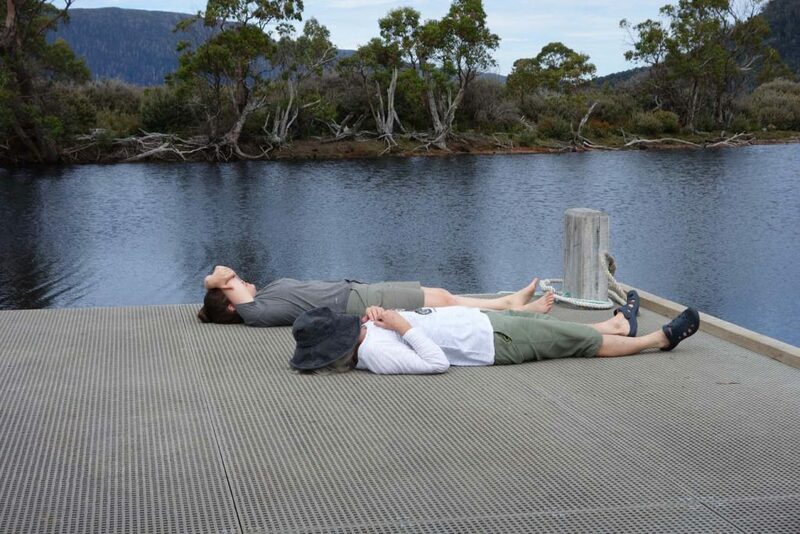 This is Tasmania and you are in the mountains so even in mid summer you are not going to be sunbathing unless you don’t feel the cold. Now I’m not saying that it is freezing but the temperature over our summer trip didn’t get past low 20’s (Celsius); comfortable but not hot. There is potential for snow in any month of the year and you should expect rain on a regular basis. I was pleasantly surprised when we only had one day of heavy rain and one day of light drizzle for the whole trip. So you need to come prepared and this includes a tent. While you can potentially stay in the huts each night, this is not a guarantee and in all honesty I prefer to stay outside the huts as its less noisy (otherwise bring ear plugs). If you are familiar with our website and podcast you will know I am progressively lightening my load and trying to become an ultralight hiker so it won’t surprise you when I say I am always amazed at the size of people’s packs. It is horses for courses so if you are willing to carry your gear then good on you. For us our packs weigh just on 16.5 kg (37 pounds) which included three litres of water (only for the first day), seven days of food and enough layering to keep us warm, and dry, down to minus 7 degrees Celsius. 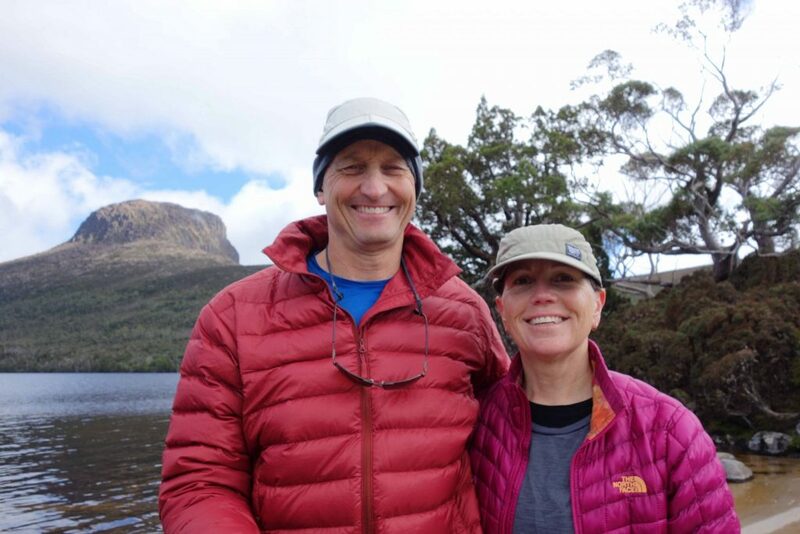 Transport from Launceston to Cradle Mountain is something you will need to organise and there are plenty of transport companies that will take you from Launceston or Hobart to Cradle Mountain and back. We booked late and were potentially going to be the only one on the bus which could have meant an expensive trip. Because others joined us, transport costs were about $80 each from Launceston and $90 each to Hobart at the end of the trip. In addition the transport company also held our bags for us and transferred them to our accomodation at Cynthia Bay ready for us to get cleaned up. Water is also another consideration on the trail but is usually so plentiful you just need to carry enough to get you through the day, about two litres should be enough or you can collect water and filter as you go. The Track surface consists of essentially a few types. The first is a series of varying sized boardwalks and these are usually placed in areas where the environment is at its most fragile. 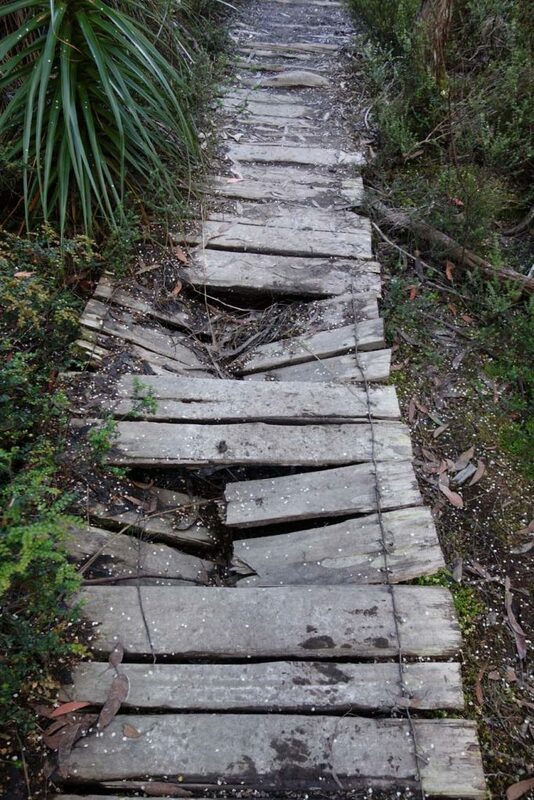 Most of the boardwalks are in very good condition but there are some that are rotted and broken so pay close attention when you come across those bad sections. The second type is natural trail and what this looks like varies widely. Expect clean compacted granite in some areas, mud and trees roots, and more tree roots, and just when you think you’ve had enough even more tree roots. I found the roots particularly annoying as my feet where too big for the spaces in between so I found myself walking on the roots rather than between them. 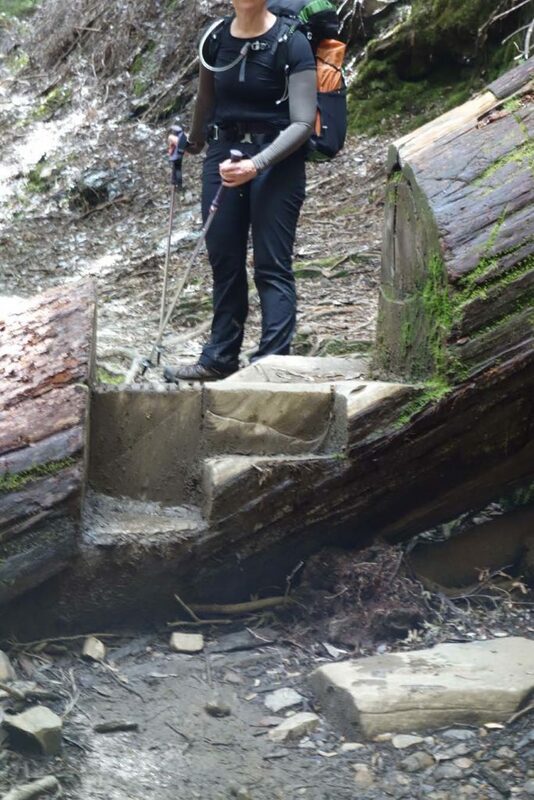 Oh did I mention that the tree roots are slippery. The worst section at least from my perspective was from Windemere Hut to New Pellion Hut. I can’t stress enough you should carry trekking poles. The third and last surface is mud. Having talked to walkers who have done this trail before I was expecting more mud than we got but due to the minimal rain I was happy with the limited amount of mud. I did walk this trail in leather hiking boots and managed to keep my feet dry and warm the whole trip but a number of hiker used trail runners unsuccessfully. I almost forgot there is some rock in one particular section on the way up to the Labyrinth in Pine Valley that was actually a creek bed and while on rock we found ourselves walking through a waterfall as well, charming. The signage on the trail is well marked. It took me a little while to work out why some of trail markers where on two metre tall poles and very close together and then I remembered the snow. Wintertime must be a fun time to hike. With up to 60 people a day starting the Track you will never be lonely. We found that while we started the trip at the same time as other groups we often saw different people every day due to different itineraries as well as different walking paces. 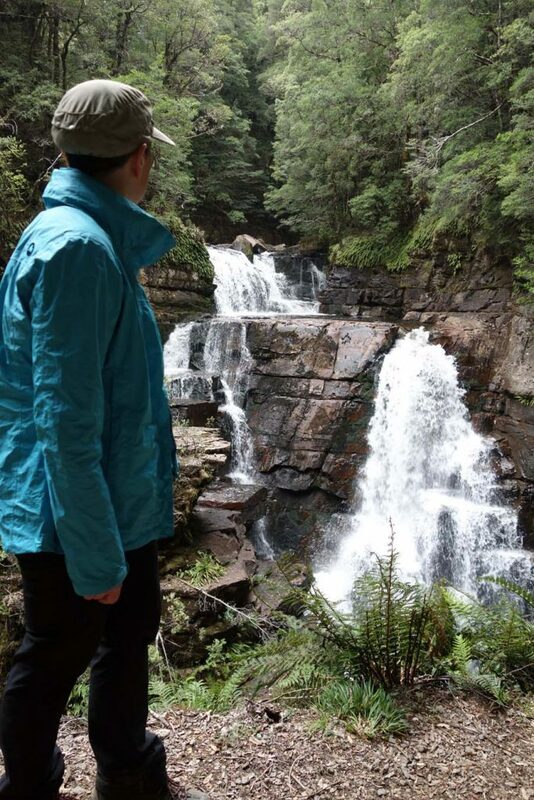 Now to the reason that people hike this trail…it has to be the scenery. 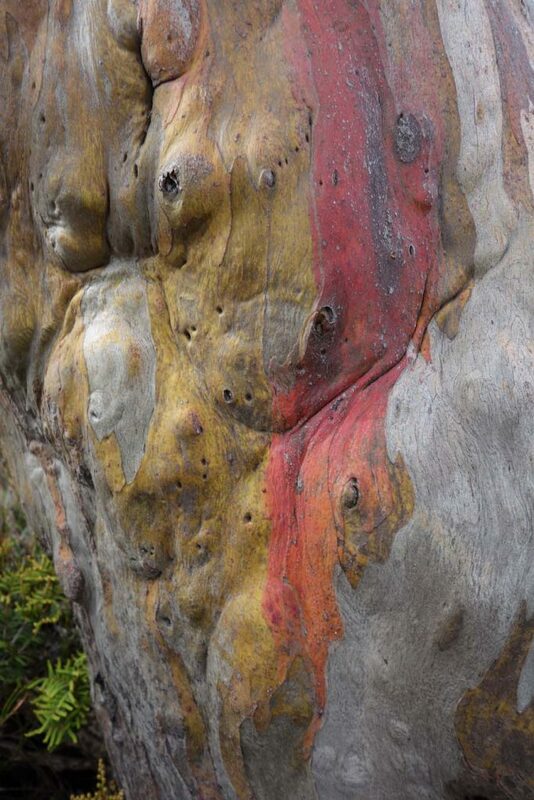 The Tasmanian wilderness areas can only be described at spectacular. 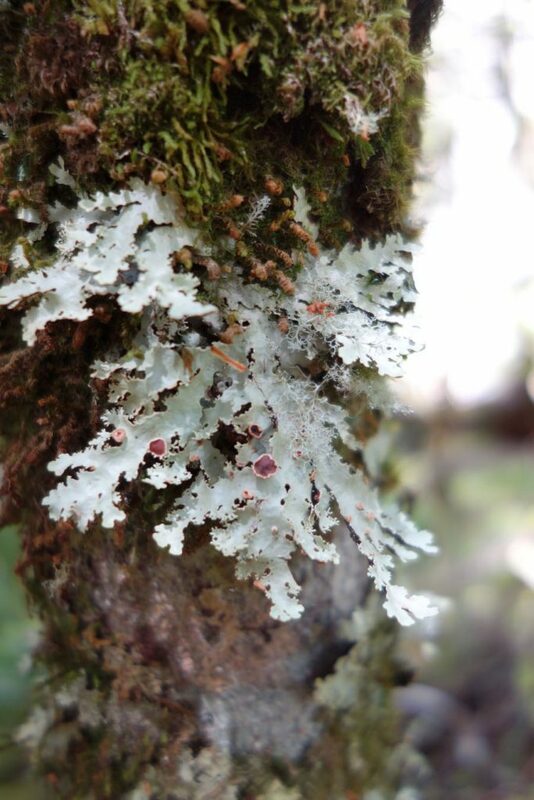 Mountains, towering forests, some dark and forbidding, some light and open, waterfalls, historic huts, moore lands, creepy crawlies,wildlife and lots of mosses and lichens. 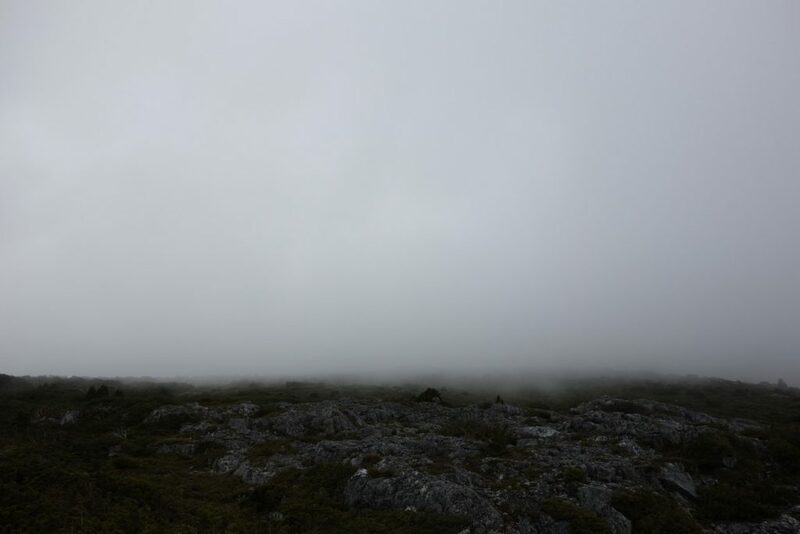 We had planned to summit Cradle Mountain but only got part way up before the cloud bank caused a solid white out. I don’t feel the need to climb tall mountains and it would have been dangerous so we aborted that attempt. Listen to Episode 022 of the Australian Hiker Podcast where we discuss issues associated with this whiteout and where one hiker found themselves in a dangerous situation. My favourite part of the whole trip and something that Gill agrees with, was our side trip to Pine Valley. I love macro photography and I would have been very happy just to spend two solid days with an SLR camera and a macro lens. 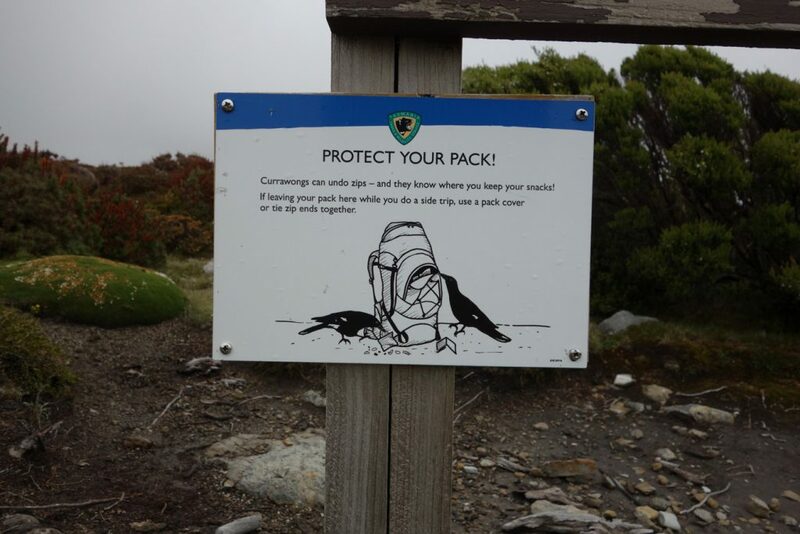 What’s a hiking trip without things to watch out for and the Overland Track is no different. As cold a climate it is the most common snake on the trail is the Tiger snake. From talking to other hikers we appeared to be the only ones who didn’t see snakes. Going to the macro scale this is a wet climate and with it comes the leaches. It was not unusual to see hikers with blood running down their legs because a leach or two had latched on. 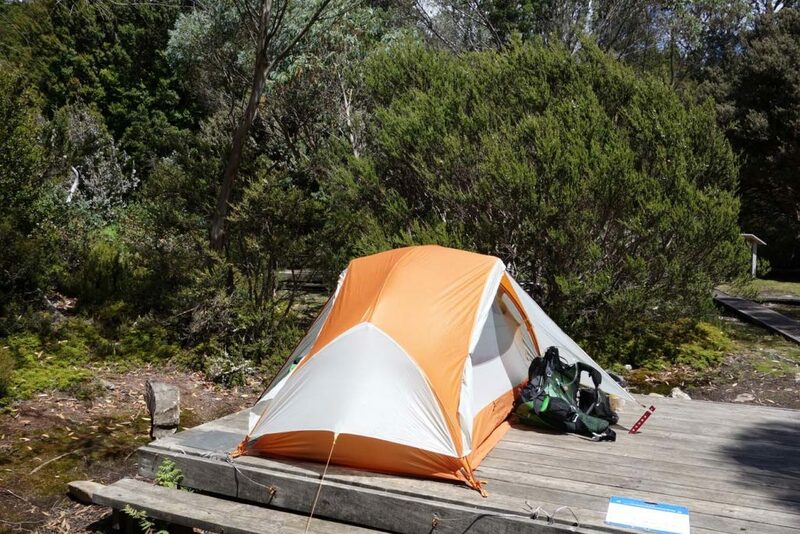 One pair of hikers set up their tent on grass and even before they got inside had leaches crawling up the tent walls. 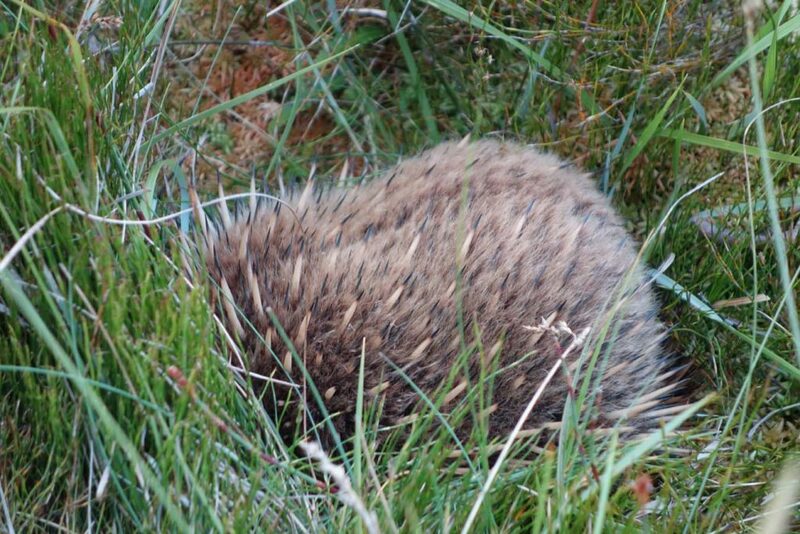 Not on the animal side but probably the main thing to keep an eye on is your footing. 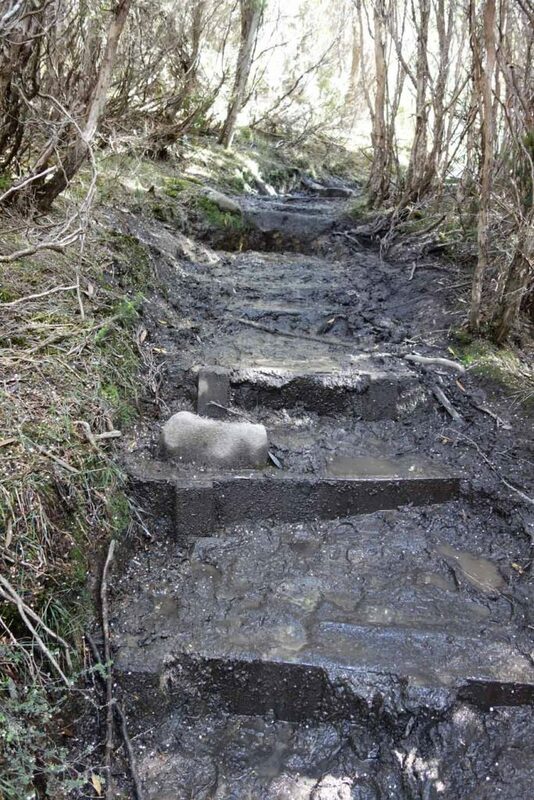 With the mud, water and tree roots tripping and slipping can be a big issue so make sure you stay focused on the trail. Now as mentioned we chose to walk from Narcissus Hut to Cynthia Bay but we could have taken the ferry across the lake. This option is one that many people take and usually costs a minimum of $40 per person. 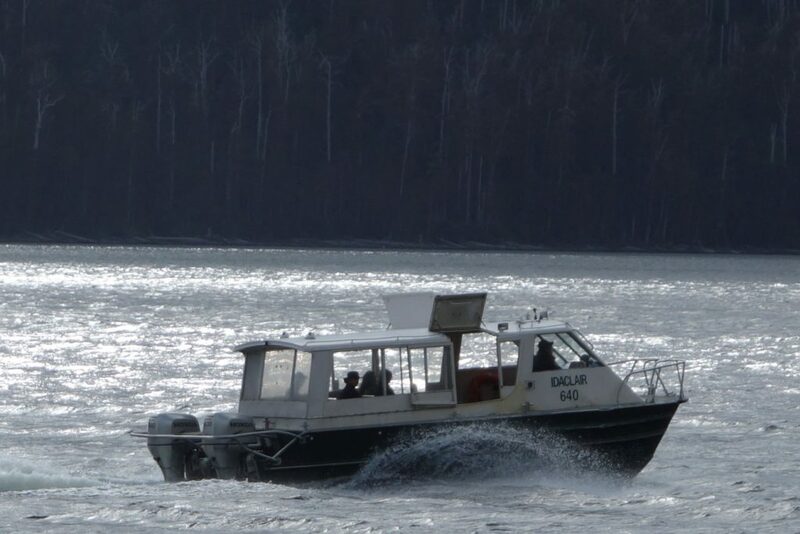 The boat cost per trip is $240 and if you happen to be the only person on the boat then that is what it will cost you so be prepared to either wait for other hikers or start walking. 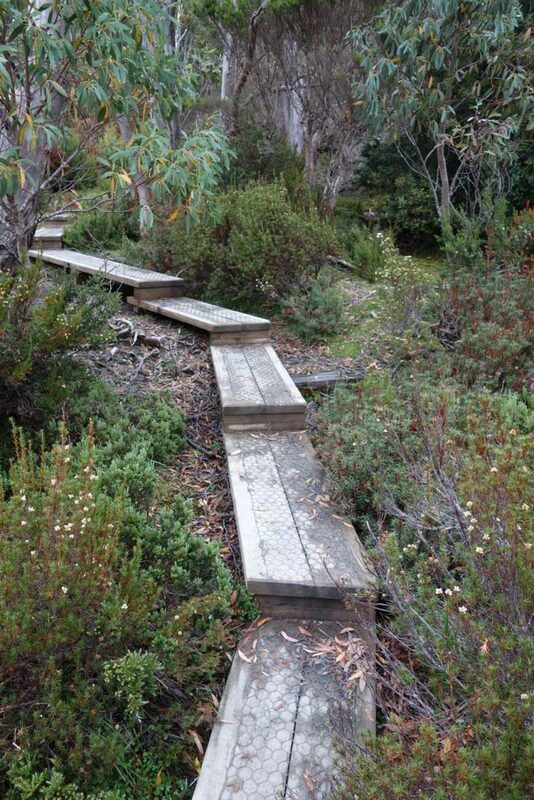 So would I recommend hiking the the Overland Track? Yes I would. I think this is a very worthwhile trip that everyone should do at leat once. Would I do it again? Simply put no. While I will return to Pine Valley at some stage with my heavy SLR and macro lens to go nuts taking photos of mosses, lichens and fungus, I don’t feel a desire to walk the entire Overland Track again. I still think back too fondly to my Larapinta Trail trip in 2016 and I am already planning a return trip. For me that’s a good indication of what makes good trip.